By day, the cat stays with Zoé (Oriane Zani), a little girl who spends most of her time with her nanny (Bernadette Lafont) since her mum (Dominique Blanc), a police detective, works a lot. But by night, the cat goes out to meet Nico (Bruno Salomone), a very talented cat burglar. Together they can steal just about anything. Everything is going just fine – until the cat’s two worlds collide. 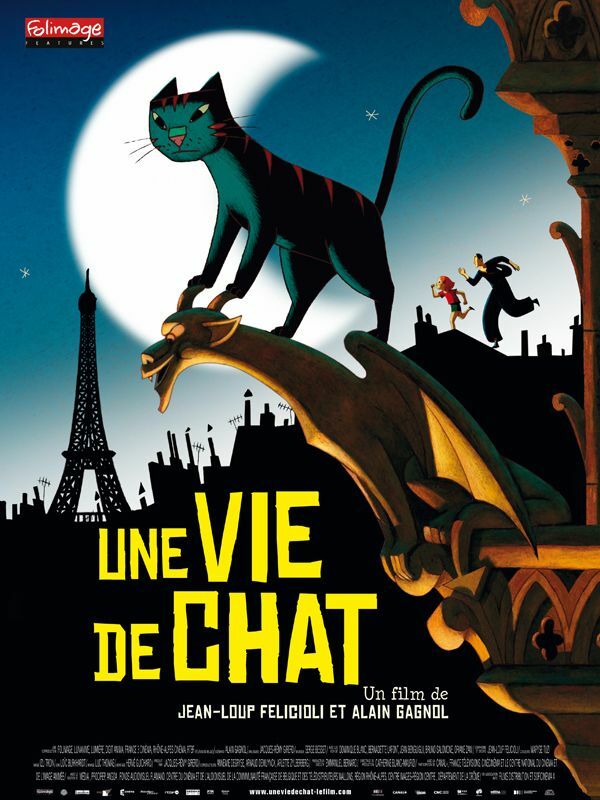 A Cat in Paris is basically a work of naive art – the visual style, the script: it’s all as if made by a kid (a very talented kid). It’s interesting, but not very compelling for me. Still, it’s entertaining.